Sport 1/9 (approximate) scale WWI French fighter designed by M. K. Bengtson. 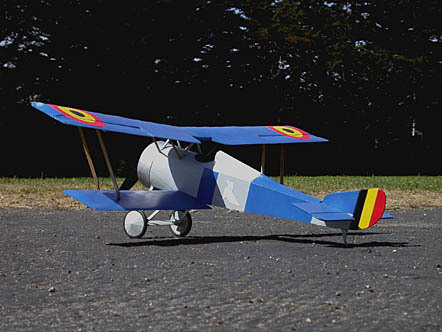 Our short kit includes laser-cut balsa and plywood parts to build the aircraft plus dummy machineguns, WWI-style wheels and a pilot sculpting form. The short kit also includes full-size printed plans.